Lotus Notes to MBOX converter is a third-party tool, which is specially designed to convert Lotus NSF to MBOX file format. This software can export multiple emails from NSF file to MBOX. There is no NSF file size limitation with this tool, so it can convert any size NSF file to MBOX. Lotus Notes to MBOX converter software allows users to export multiple emails from NSF to MBOX file format in batch. This tool converts all mailboxes of NSF file such as Inbox, draft, sent items, outbox to MBOX format. While converting data from Lotus Notes NSF file to MBOX tool to maintain the structure of folders and sub-folders without acquiring any inaccuracy. This feature is optional so the user can use it as per their requirement. Export Lotus Notes email to MBOX tool keeps Meta data properties such as To, cc, bcc, email address, from, sent date, received date, etc. of NSF emails same as the original after conversion. When the software starts converting items from Lotus Notes NSF file to MBOX file format then a small summary of conversion is generated. This summary displays details like current folder name, folder count, email count, and name of migrated file. The Software allows users with facility to automatically detect & replace canonical name of sender email into SMTP format according to specified domain name. Another is to translate email address book using csv file option within tool. Software provide the option to map folders with NSF files to MBOX. You can directly map the Lotus Notes NSF to any file.mbox. Using this feature, users can directly map folders to maintain the originality to new folders in .mbox easily. 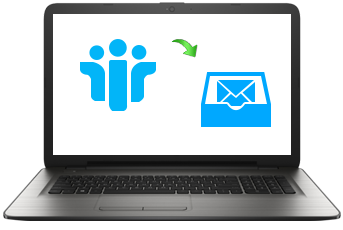 Convert Lotus Notes emails into MBOX software allows users to save the converted file at any desired location on your machine. It also provides an option to create a new folder from software panel to save converted MBOX file. NSF to MBOX converter tool is compatible with all versions of Windows OS which includes Windows 10, 8, 7, 2003, vista, XP, etc. This tool also supports all versions of Lotus Notes like Lotus Notes 9.0, 8.5, 8.0, 7.0, 6.5, and 5.0. “The graphical interface of NSF to MBOX converter is very simple and user-friendly. It can be used by anyone who does not have more knowledge of technology. This tool is very helpful for the user like me who does not have technical knowledge. Thanks to developed such a simplified product." Lotus Notes is a desktop-based email client, which stores their data such as emails, contacts, tasks, calendars, etc. in NSF file format. On the other hand, MBOX file format is supported by both desktop-based (Thunderbird, Eudora, etc.) and web-based (Gmail) email clients. The interface of Lotus Notes is complex and difficult to handle. The maintenance cost of Lotus Notes email client is high. Lotus Notes email client is very expensive.